Gawura is a unique Primary School for disadvantaged Aboriginal and Torres Strait Islander children in Sydney. 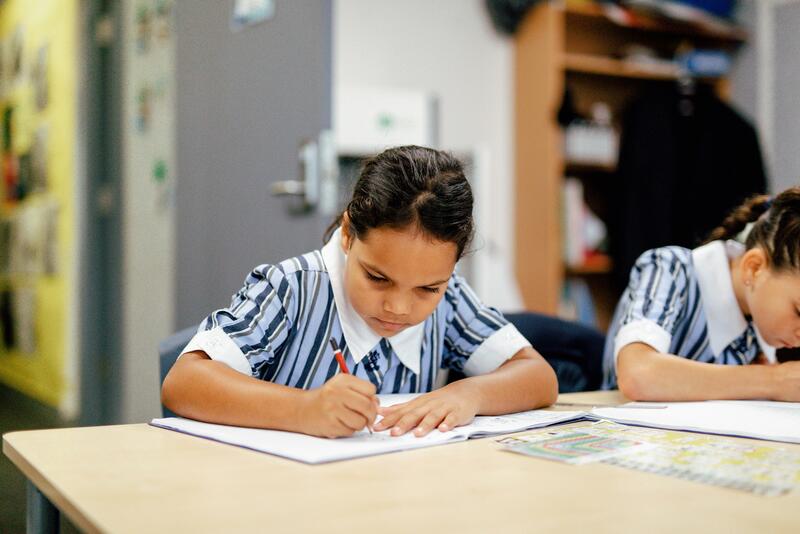 Gawura focuses on literacy and numeracy in an environment that celebrates Indigenous cultures as a pre-eminent part of the learning environment. Close collaboration families is critical to the success of this program and continued engagement of the students. The aim of the program is for our Gawura students to achieve educational outcomes equal to (or better than) their non-Indigenous peers. Our mission is to break the entrenched cycle of disadvantage experienced by Indigenous children by providing them the best opportunity for educational success, a choice of direction for the future and a foundation upon which they can build for the rest of their lives. As students "graduate" from the Gawura’s Junior School, they are offered scholarships at St Andrew's Cathedral School for their Secondary education – a day school. The Gawura students are well prepared for the transition to high school, as they are already familiar with the shared school facilities and have participated in activities and made friends in their peer group. Gawura receives government funding because it is a school within its own right. There is however, a $7,800 difference per child in the Junior School between this funding and what is required to ensure each can participate fully, and be given the same opportunities as all of our students. In high school our Gawura students receive no Government funding and are supported by generous companies, foundations and individual donors. Your donation to the Gawura Scholarship Fund will allow Gawura students to have access to everything their friends do – excursions, music lessons, uniforms and from time to time an emergency lunch.